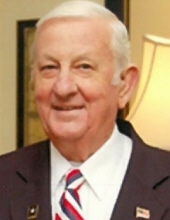 Billy Ray Barbour, 85, of Martinsville, VA passed away Saturday, February 2, 2019. He was born February 16, 1933 in Franklin County, VA to the late Henry W. Barbour and Della Wingfield Barbour. In addition to his parents, he was preceded in death by a sister, Betty Jane Lunsford. Mr. Barbour was a member of Snow Creek Christian Church and served in the United States Army during the Korean War. He is survived by his sisters, Catherine B. Nichols of Roanoke, VA, JoAnne B. Griffin of High Point, NC, and Dottie Gayle Webb of Roanoke, VA; special friend, Dot Smith of Martinsville, VA; and many nieces and nephews. A funeral service will be held at 12 noon on Wednesday, February 6, 2019 at Norris Funeral Services, Martinsville Chapel with Rev. Bill Oliver officiating. Visitation will be from 6 p.m. to 8 p.m. on Tuesday, February 5, 2019 at Norris Funeral Services. Burial will follow the service at Snow Creek Christian Church Cemetery. Military Rites will be performed by the Martinsville-Henry County Honor Guard. In lieu of flowers, memorials may be made to Snow Creek Christian Church, 4970 Snow Creek Rd., Martinsville, VA 24112 or to Snow Creek Rescue Squad, 8584 Snow Creek Rd., Penhook, VA 24137. Norris Funeral Services, Inc. and Crematory, Martinsville, VA is serving the Barbour family. Online condolences may be made at www.norrisfuneral.com. To send flowers or a remembrance gift to the family of Billy Ray Barbour, please visit our Tribute Store. "Email Address" would like to share the life celebration of Billy Ray Barbour. Click on the "link" to go to share a favorite memory or leave a condolence message for the family.